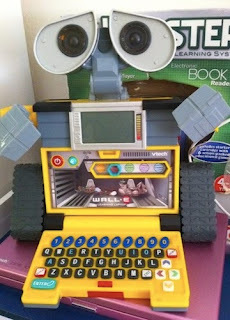 It's out of this galaxy! 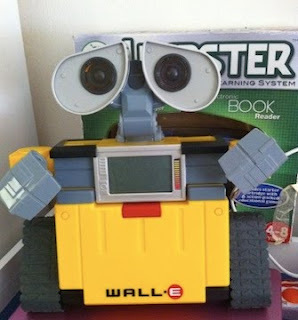 Send your child into orbit with the the adorable Wall.E Learning Laptop that looks just like the star of Disney/Pixar's latest hit movie! Young space explorers will discover 15 activities in five modes of play teaching letters, words, math, logic and games. 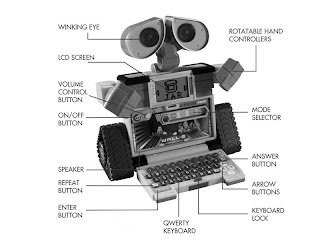 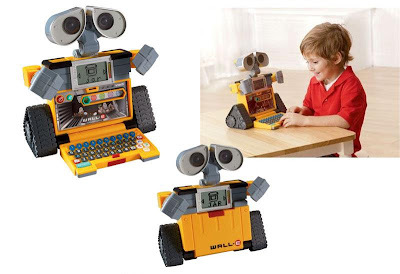 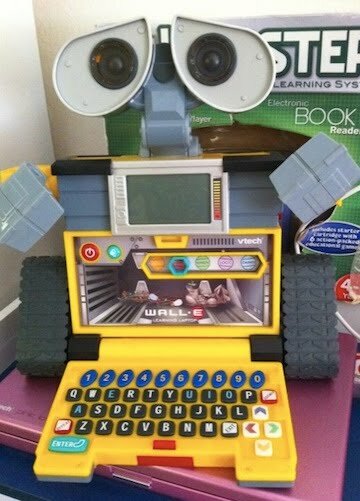 The Wall.E Learning Laptop comes with a flip-down QWERTY keyboard, moving arm controllers, an LCD screen and a "winking" right eye.